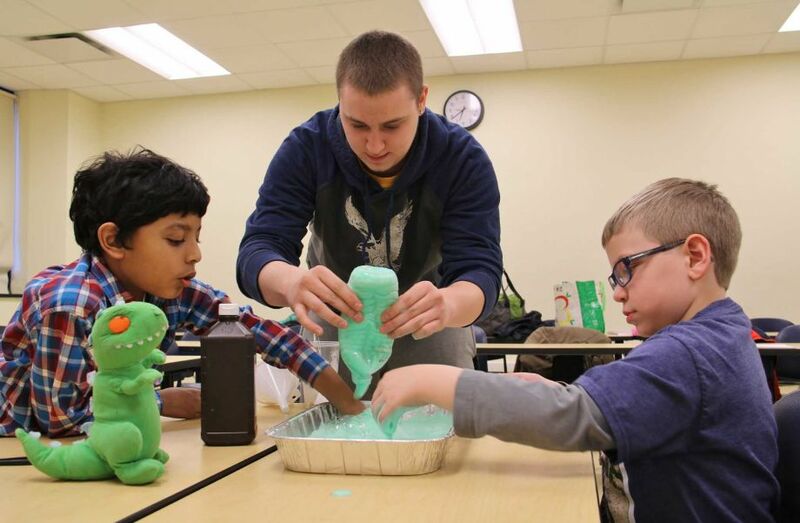 The Friday Knights Recreation Program is a structured and supportive recreational environment for children and adolescents who need opportunities for social interaction beyond what is available through school settings or community recreation programs. The participants include children and adolescents who have difficulties relating to their peers and may need extra support or more opportunities to use the skills they have learned in social skills groups. Children with autism spectrum disorders or other social challenges are welcome in the program. In addition, siblings and peers without difficulties in social relating are invited to join us and to enjoy the activities while serving as role models. Volunteers from The College of Saint Rose (undergraduate and graduate students) are the counselors and activity leaders. Education faculty from Saint Rose are on site to provide activities, guidance and supervision. Activities may vary by the age of the group but possibilities include structured board games, movement, drama, yoga, history, science, music and arts and crafts. Children are matched by age in groups of 6-10 children per group (depending on age). Children with autism spectrum disorders will be given first priority for program between the ages of 6-13. Those children who most need 1:1 support to learn to swim will be given first priority. 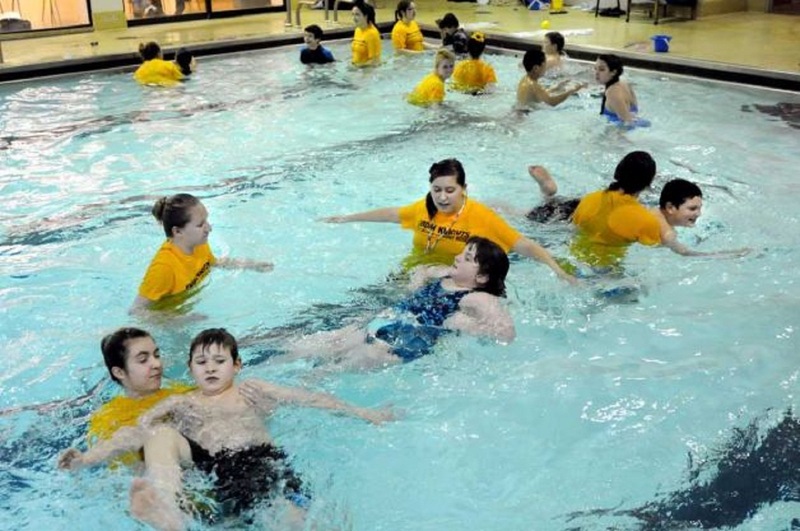 Each child will be assigned a 1:1 volunteer to help and there will be a qualified Water Safety Instructor on duty supervising and helping with instruction. A life guard in also on duty. Volunteers from the College of Saint Rose (undergraduate students) are the 1:1 counselors. Many have participated in the Friday Knights program previously and may have some experience with teaching swimming. Parents must stay on site and assist with any changing of their child’s clothes or bathroom/toileting needs. Your child must be toilet trained to participate. Please note the swimming pool is large, with the shallowest end at approximately 3 feet. The temperature is often set for the swim team so it will not be a warm pool. If your child is highly sensitive to cold temperatures this may not be a good match for him or her at this time. Please consider this before applying for the program. Social skills learning groups for children with autism spectrum disorders in grades 1-12. The program focuses on helping children and pre-adolescents develop greater awareness and understanding of perspectives different from their own as a means for improving conversation skills, developing relationships with peers, playing cooperatively, handling conflict and developing self regulation. The individual needs of participants are considered in the formation of groups so that those with similar abilities in language, cognition and social awareness are grouped together. Groups are also clustered by age. Three to five children are assigned to a group with 2-3 adults. Assessment occurs at the start of the session and brief progress reports are provided at the conclusion of each session. Dr. Susan DeLuke from The College of Saint Rose supervises the group sessions which are conducted by Saint Rose students enrolled in coursework on autism spectrum disorders. Homework assignments are a mandatory and important part of the program. These are given each week and carried out with the cooperation of family members and school staff. Regular attendance is expected of participants. Interested in being a Friday Knights volunteer?